We are only a few months away from the European elections. The moment is right to look through a European lens at the state of our social affairs. When I started this mandate in the European Commission in 2014, we had an exceptional opportunity and obligation to make a fresh start. We had just left behind the biggest economic and financial crisis in decades, which shook our European house to the core, profoundly impacting on our society. Unemployment reached record highs, hitting the young especially hard. Poverty and social exclusion increased, scarring the social fabric of our society. At the same time, our societies have been facing changes rapid changes, such as digitalisation and globalisation, which are drastically impacting our economy and the world of work. Making sure Europeans can fully participate in society and equipping them for modern working life is a key social concern, but it is also crucial for our productivity and ability to compete globally. That's why we set out a new approach. We launched an agenda for jobs, growth and fairness that put the social dimension where it belongs: at the heart of Europe. The Commission acted fast and on various fronts. We focused on creating a better business environment by boosting innovation, investments and structural reforms. We granted more flexibility to Member States to make the necessary investments. We found ways to help young and long-term unemployed back into work. We improved the quality and relevance of skills formation to help people seize opportunities in the new world of work. By revising the rules on posted workers, we made an important step to preserve fairness on the internal market. We have made "Equal pay for equal work at the same place" into a guiding principle for mobile workers and companies. Our reforms and policies are now being bolstered by a general economic recovery. Growth is back in Europe, in all Member States. The bleak days of a Europe with a 29th state of millions of unemployed people are over. Since this Commission started working, the EU has created about 12 million jobs. Today 239 million men and women are employed in the EU. Never before have so many people been at work. Unemployment rates are going down everywhere. Youth unemployment is also dropping. We want to sustain economic and social convergence in Europe in the future. But this will not happen by itself. Our work has not yet been completed. Our starting point is the European Pillar of Social Rights: an update of our social rulebook to the twenty-first century, creating upwards convergence across Europe and preparing people for the future. At the Social Summit in Gothenburg in November 2017, all the European institutions subscribed to this approach. The Pillar affirms 20 principles and rights, structured around three priorities: equal opportunities for education and training and access to the labour market; fair working conditions; and access to social protection for all. The issues addressed range from the right to minimum wages in all EU countries to the right to health care, and from the principles of equal opportunities and work-life balance to the right to social protection. Some of these rights or principles were already present at the EU level, while others still need to be established. Therefore, the Pillar forms the backdrop for all of our initiatives in the area of employment and social affairs. It provides a compass on how to tackle new social challenges related to the future of work. So that we can ensure modern, inclusive and competitive societies where a dynamic economy and social progress continue to go hand in hand. For tangible results and a meaningful impact in the everyday lives of Europeans, the Pillar requires follow-up action at all levels. I cannot repeat often enough that delivering on the principles and rights is a joint responsibility together with the Member States and social partners. We can and will only build a fairer and more social Europe together. The Commission will not legislate on every aspect of the Pillar. Nevertheless, we did launch on number of legislative initiatives in line with our competences. These files need to be wrapped up before this Commission passes the baton in autumn 2019. An agreement on the ongoing revision of the European rules on social security coordination is crucial. These rules are a corner stone of the European project; people have been referring to them for 60 years now. The underlying two regulations were among the very first that were adopted by the European Economic Community. They immediately illustrated that you cannot have free movement of workers without guarantees for social protection. Now, with the number of mobile citizens growing steadily, it is important to ensure that this legal framework remains clear and fair. To get the European Labour Authority up and running is another priority for me. This is the missing piece to make sure that EU rules on labour mobility are enforced in a fair, simple and effective way. Such an authority is long overdue. 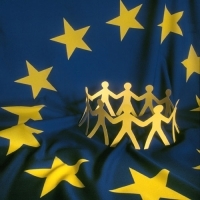 17 million Europeans live or work in a Member State other than that of their nationality. This is almost double the number compared to a decade ago and these figures continue to grow. It is certainly a sign of a healthy internal market. But behind these numbers are 17 million individual stories. We must make sure that these people, their families and the companies they work for, as well as national competent authorities, receive all the support they need. To do so, the Authority will carry out three main tasks. First, it will facilitate access for individuals and employers to information on their rights and obligations as well as to relevant services. Second, it will support cooperation between Member States in the cross-border enforcement of relevant EU law, including facilitation of joint inspections. Third, it will mediate in cases of cross-border disputes between national authorities or labour market disruptions. We also need to make progress on our initiative for better work-life balance. We need to make it easier for women to choose both children and a career without being penalised. A very important step towards achieving this goal is to distribute the caring responsibilities between women and men in a more balanced way. Personally, I find it shocking that there are still EU Member States that have not yet established the concept of paternity leave. This is an important aspect of a modern and efficient labour market. Let's not forget: The current employment gap between the sexes leads to an enormous economic loss. Recent calculations point to €370 billion per year. In the context of demographic ageing and shortages that we face on the labour market, we cannot afford to leave this huge talent untapped. Our work-life balance initiative indirectly also contributes to closing the pay and pension gap, which undermines the value of women's contributions and increases their chances of poverty and social exclusion. Also the Directive on transparent and predictable working conditions should be adopted as soon as possible, so that workers are better protected. We want to make sure that all forms of employment are covered; this means that also domestic workers or on-demand workers, for instance, should be fully aware of their rights and obligations at the latest on the first working day. And we set new minimum rights: for example limiting probation to six months, the right to take up more than one job, more predictability for those working on very variable work schedules. We also want to give all workers and the self-employed access to social security coverage, not just those employed on a full-time basis and on open-ended contracts. Member States should therefore unanimously adopt our recommendation on access to social protection. We must look at ways to align our social security systems with new forms of work. As many people as possible, including the self-employed and gig-economy workers, should be covered and have the possibility to build up rights against contributions. The Commission wants to facilitate the transfer of social security entitlements from one job to the next and between job statuses as people will face more transitions in their working life. Last but not least the EU institutions should complete the negotiations for the next EU budget from 2021 to 2027. I am very happy we have proposed over € 100 billion to invest in people - the first time we ring-fence a multiannual budget specifically to people first! Our proposal for a new "European Social Fund Plus" is reasonable and modern. It will make a very visible and substantial contribution to our efforts to equip people with the right skills, to make sure they have modern social protection adapted to new forms of work, and to show solidarity with those who need it most. Also the European Globalisation Adjustment Fund will receive more resources and a broader scope, to provide more efficient support to workers who lose their jobs in large-scale lay-offs with a large regional impact. Building social Europe has always been work in progress. This Commission has helped to fix the roof after the damage the economic crisis had done. Now to turn this house into a home, we must deliver on all our social and employment files for our citizens.